On Tuesday 5th February, Positive People and Hemyock Primary School celebrated Safer Internet Day 2019 around the Theme of ‘Together for a Better Internet’. During the day two members of the digital training team introduce the theme to the pupils and spent some time in each year group discussing the ways in which they use the internet and how they can be safe when they are using it. 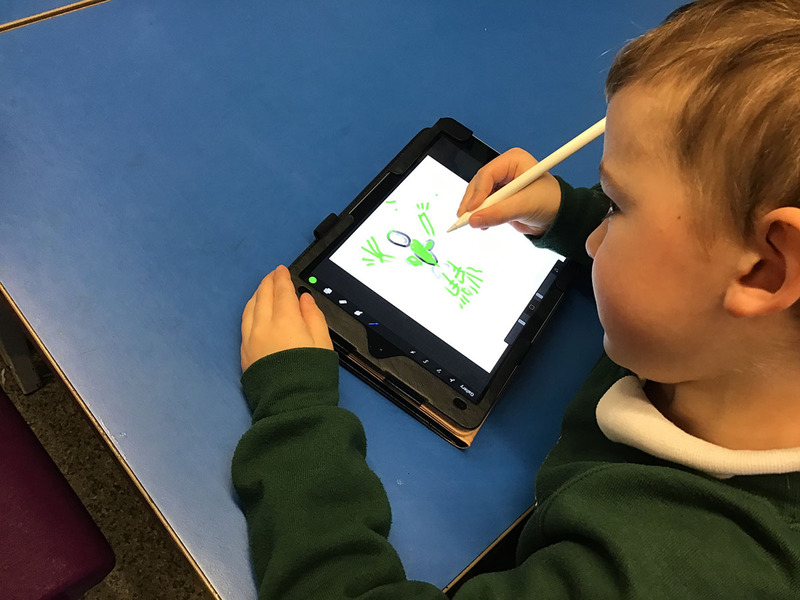 Each class used the Apple iPads and Pencils to create internet Superheroes that would help them to remember to be safe when they were online. There were many different ideas including apps which reminded you to be safe and Captain Underpants with a tag line of ‘BE SAFE ASK?’.